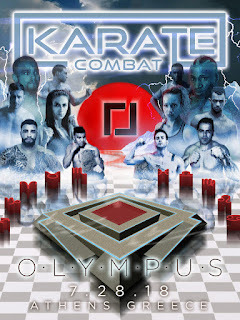 New York, NY (July 12, 2018): Karate Combat, the first mainstream, professional, full-contact karate league, announced the date and location for its next event. 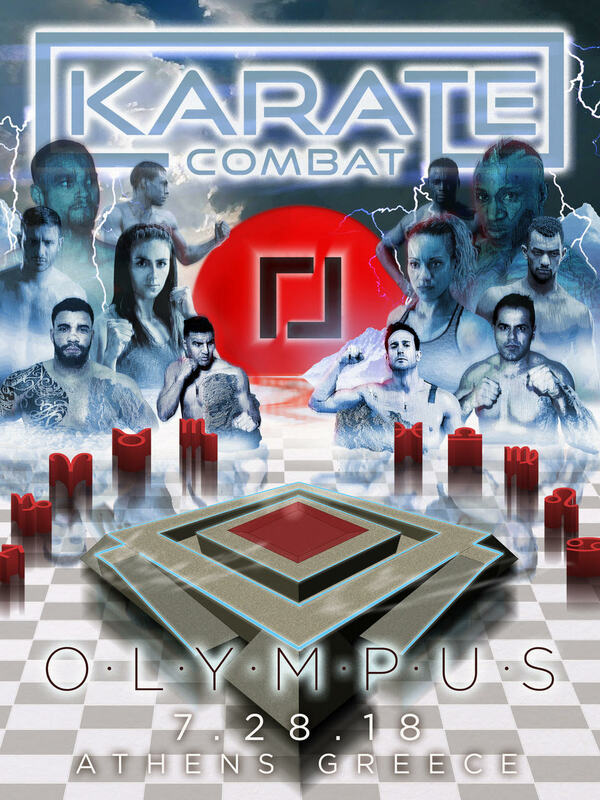 Karate Combat: Olympus will live stream from Athens, Greece on July 28, 2018. Karate Combat’s distinctive rules and patented slope-sided fighting pit are optimized for action and the superior production values and innovative Heads-Up Display feature make for engaging viewing on all connected screens. The fight will stream live in the evening local time from the historic Zappeion Courtyard, just steps from the Parthenon and the site of combat events at the first modern Olympics in 1896. The card features the UK’s 4x national champion Jerome Brown vs European Champion and 11x French national champion Davy Dona, and a co-main event with heavyweight World Champion finalists Achraf Ouchen of Morocco vs. Franklin Mina of Ecuador. Fighters from Greece, Turkey, Italy, Spain, Dominican Republic, and Brazil will compete. (Full planned card below). Emmy-winning sports television veteran Jon Gerstel will executive produce the event. The live stream will be available on Karate Combat’s site karate.com, on its iOS and Android apps, and with distribution partners such as YouTube, Dailymotion, Titan, FITE, CBS’ Sports Live, Pluto TV, Sports Channel Network UK, JungoTV’s CombatGO and more exciting outlets to be announced soon. Over a million people have viewed Karate Combat: Inception, which took place in Miami on April 26. The launch of Karate Combat and its first fight were covered by CNN, BBC Worldwide, CBS, USA Today, Sports Illustrated, Sherdog, SB Nation, Vice Sports, Ouest France, HK01, and many more.